The Westwater Advocates Insurance Law Group brings together Westwater Advocates practising in insurance law and experienced in advising on policy cover. The Group consists of members with relevant specialist knowledge and expertise. The Group provides a forum for the development of the interests of its members in this area and for them to share their accumulated knowledge. Members of the Group are available to provide relevant and tailored training to legal firms and other professionals involved in Insurance Law. 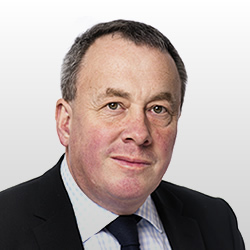 Nick has wide experience over many years advising and appearing for both insurers and insured in relation to disputes about the existence of, meaning of and cover provided by insurance policies. 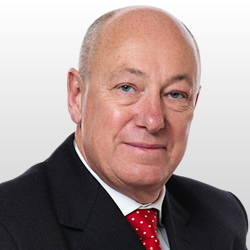 He also has experience advising on and litigating in respect of Motor Insurers Bureau Agreements. Greg was a Solicitor in private practice for over 15 years prior to calling to the Bar in 2001. During that time Greg’s practice was for insurers (either directly or working with legal expenses insurers). Since calling to the Bar Greg has advised on fire, flood and critical illness claims including policy interpretation. Greg was one of the Counsel in the leading case of Cuthbertson-v-Friend’s Provident Life Office  CSOH 74. 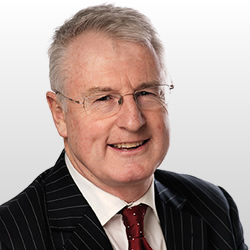 Ken was a partner with one of Scotland’s leading insurance practices for over 20 years and has been at the Bar since 2008. While a solicitor he had wide experience of all forms of litigation including personal injury, medical negligence and insurance law, acting mostly but not exclusively for defenders. Since coming to the Bar he has continued to practice in this field. All members of the Group are available to attend at professional offices to provide talks and or training which would qualify for CPD under the Law Society of Scotland’s CPD Scheme. Suggested titles for talks are listed below. The members of the Group would also be happy to provide talks on other subject matters within the field. If you or your firm has a particular interest in an area not mentioned, we would be happy to discuss how we could meet your needs. The listed talks are designed to be of about 30 minutes’ duration. This again can be tailored to meet your requirements. We envisage events comprising one or more talks, possibly at lunchtime or in the early evening. If you are interested in holding such an event for your office please in the first instance contact Sheila Westwater who would be happy to provide further general information about the Group or to help you refine your individual requirements. Professional instructions or enquiries as to availability to accept instruction should be directed to the Stable clerking team or individual members in the normal way. Warranties and Conditions in Scotland. Damages for the insurer’s breach of its obligation to indemnify: the difference between the law of Scotland and the law of England. Non-Disclosure of Material Facts – Its Meaning and Effect. Remedies for the fraudulent or dishonest conduct of litigation: do the Scottish Courts have a power of summary dismissal?